Almost all teams participating in the 2012 London Olympics all received sponsorship of sporting goods, or signed a formal sponsorship agreement with the company. However the Egyptian team did not. Egyptian Olympic Committee Chairman General Mahmoud Ahmed Ali admitted that the Egyptian athletes’ Nike clothing and backpacks are all fake. These Shanzhai products have Nike logos but with Adidas zippers. 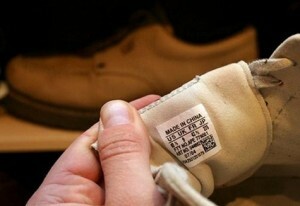 “Made in China, it is everywhere”, recently the Commerce Department produced an advertisement of a international image promoting “Made in China” brand and started to air on CNN Asia. This ad is deliberately made to rebuild and strengthen the “Made in China” reputation in the global market.